Ketek electrical services has the ability to provide that support for as little or as much of your project as needed. Ketek electrical services technicians have a vast array of knowledge when it comes to the inner workings of electrical systems found throughout the industry. 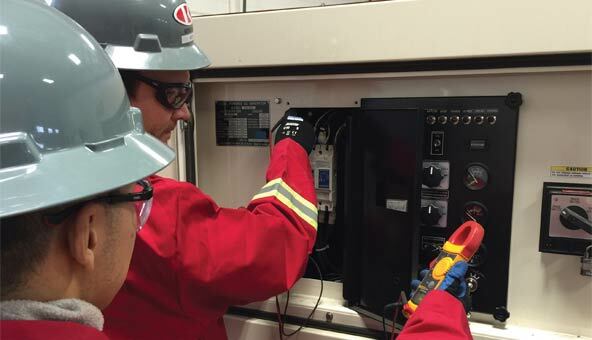 Our electricians, instrumentation technicians and millwrights are qualified through external and internal sources to guarantee they are at the top of the industry when it comes to safety, quality and any additional applicable standards to the projects that they are assigned. Ketek electrical services can execute electrical projects in accordance with your company specifications and policies. Our installation and Commissioning services will optimize you cost of ownership. When it comes to the maintenance of your electrical systems and processes, Ketek Group understands that our customers are looking for an efficient and experienced partner. Ketek will operate and maintain all your permanent and temporary power needs. Ketek can assist with your scheduled major maintenance work. Let us help you to increase your equipment reliability and reduce unscheduled outages, control costs and save time. Whether it is a small project to an existing building or a new industrial project, we will complete your project on time and on budget.